SAN ANGELO, TX – Fourteen suspects were arrested and booked into the Tom Green County Jail on Tuesday. 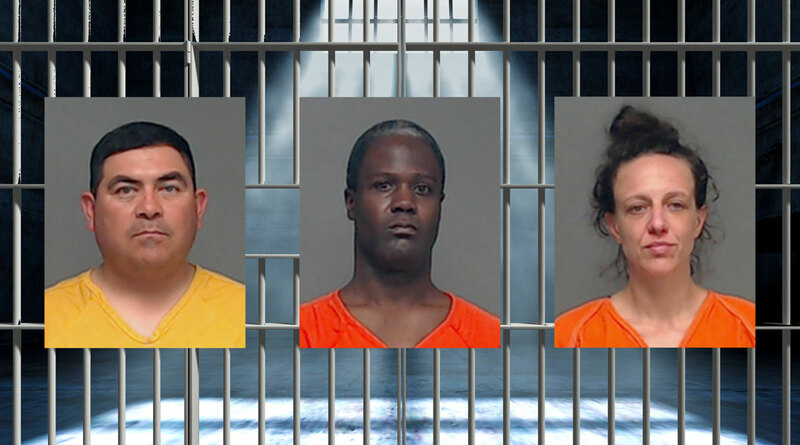 The Tom Green County Sheriff's Office, the San Angelo Police Department and the Texas Department of Public Safety made various arrests including Murder and manufacture and delivery of a controlled substance. Out of the 445 beds, 380 of them are occupied as of Wednesday morning. Justin Smith was arrested for evading arrested with a previous conviction at 12:17 a.m. His bond is set at $7,500. Juan Morales was arrested for MISC parole violation at 3:31 a.m. His bond has not been set at this time. Benito Cordero was arrested for RPR possession of marijuana, possession of marijuana, possession of a prohibited weapon, PRP possession of brass knuckles, RPR driving while license invalid, and GOB terroristic threat at 3:53 a.m. His bond is set at $11,000. Laura Medellin-Wilcox was arrested for public intoxication at 4:21 a.m. Her bond was set at $442 and was released at 2:13 p.m.
Tara Hise was arrested for manufacture and delivery of a schedule one controlled substance, possession of a schedule one controlled substance, and MTR possession of a schedule one controlled substance at 5:32 a.m. Her bond has not been set at this time. Quentin Hoyle was arrested for VOP driving while intoxicated 9:26 a.m. His bond has not been set at this time. Gonzalo Campos-Rodriguez was arrested for a MISC ICE HOLD at 2:06 p.m. His bond has not been set at this time. Bobby Dale was arrested for criminal trespassing and a MISC parole violation at 3:43 p.m. His bond is set at $500. Joann Leverette was arrested for MTR engaging in organized criminal activity 5:16 p.m. Her bond is set at $50,000. Orland Zurita was arrested for possession of a schedule one controlled substance at 5:56 p.m. His bond is set at $10,000. Mark Ahola was arrested for RPR possession of a marijuana and RPR fleeing from a police officer. His bond has not been set at this time. Matthew Ramirez was arrested for public intoxication and evading arrest with a previous conviction at 10:14 p.m.
Amber Allen was arrested for assault that caused bodily injury to a family member at 11:42 p.m. Her bond is set at $2,500.